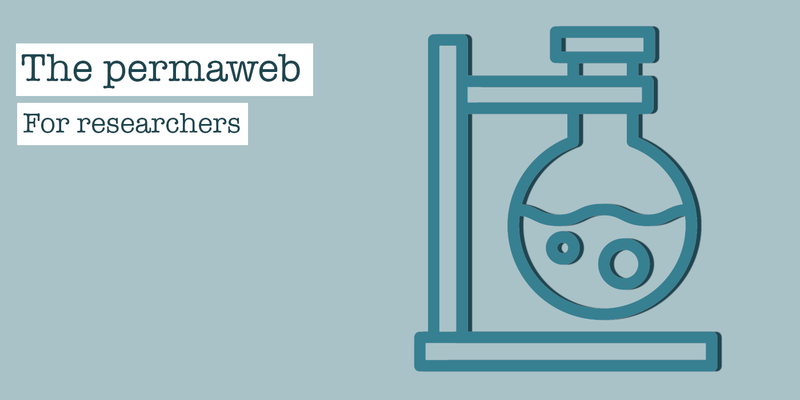 The traditional web has provided a wealth of new opportunities for all researchers and scientists. From accessing new populations for study recruitment, to distributing findings to far greater audiences, the web has been a catalyst for an explosion of knowledge discovery and exchange. However, there are some significant problems with the methods we use to share, cite, and store web citations and online publications today. In turn, these flaws limit the reliability, replicability and future value of our own research. Here, we will explore how to solve these problems by using the permaweb, specifically, with the Arweave web extension. When citing a web source in research, we typically simply link to the content with a URL (‘unique resource locator’). URLs then simply point your web browser to the location of your cited literature. However, traditional web links are not truly permanent, and are subject to loss and change at an alarming rate, and when this happens it’s very difficult or even impossible to find the cited evidence or research again. When a link ‘breaks’ and no longer points to an active web page, this is known as ‘link rot’. 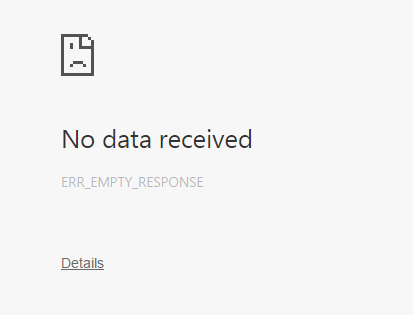 When this happens you’ll often find a ‘404 error’ like the one below from the BBC, or if the whole domain is now dead, something that looks a little like this, depending on your browser. Link rot is surprisingly common, affecting even the most prestigious research institutions. In fact, 70% of all scholarly articles have a reference section containing link rot! Although your research is timeless, your web citations will not be — after 20 years only 1.6% of web links remain functional. The causes of link rot are varied, and can include an organisation moving to a new domain name, restructuring their site map, or deleting pages. We explore some of these reasons in more depth in this blog post. As we all know, previous research is the cornerstone of future research. If the vast majority of citations and references rot over the coming years and decades, how will future generations of scientists and researchers ‘stand on the shoulders of giants’? Quite rightly, you might wonder — surely that arweave.net link could rot too? Well, that’s correct, one day far into the future the arweave.net domain might indeed become inaccessible — perhaps we stop hosting it for some reason, or perhaps your internet provider or even your government might restrict access to it. That’s okay though, anyone can set up a new ‘gateway’ domain and use the very same unique identifier (‘saYqBP_aEVTlpc62xaCOtWgmVKPdQe566Z5Wiz_kRFs’, in our example) to access the very same content. This means that these identifiers can outlive the Arweave project itself indefinitely! Ultimately, this gives the content a vastly longer lifespan and solves link rot not just for ourselves, but for our children and our grandchildren too! As well as ‘link rot’, links on the traditional web can also suffer from ‘content drift’. Content drift is subtly different than link rot, though both have serious negative consequences. With link rot, the original URL no longer functions at all, but with content drift the URL still takes the user to a functioning web page, but the content has changed significantly since it was originally cited. 75% of web links in scholarly writing suffer from content drift. The reasons for unreliable, changing content on a web page are numerous, ranging from innocent updates provided to a breaking news article, to the more sinister phenomenon of stealth editing. As with all scholarly research, your published work relies on accurate, reliable citations to give your studies transparency and legitimacy — the permaweb can help you with this. When you archive a page onto the permaweb using the Arweave web extension, it essentially stores a frozen snapshot of the page’s contents as it was at the time of archiving, immutably. This means that you don’t have to worry about the page being lost, its contents changing subtly (or dramatically! ), or it being deleted. Your reference will remain on the permaweb forever, as it was when you archived it. Just like with link rot, the permaweb offers a genuine solution to content drift that you can rely on. Once a web page or PDF is perma-archived, it cannot be altered, edited, or otherwise tampered with. This provides extra confidence and reliability in your vital references. Whether the page was perma-archived yesterday or a year ago, you know with mathematical certainty that what you’re viewing is the same now as it was when archived. When trawling the web for evidence or research, one time-consuming challenge can be finding efficient methods of storing and organising said evidence. Yes, you can store lists of URLs from the traditional, impermanent web, but as we’ve demonstrated they will eventually suffer from link rot and content drift. Alternatively, I’m sure many people print physical copies and/or use your browsers built-in ‘Print to PDF’ function. These copies have to be stored somewhere, which can be very inconvenient (and insecure), especially with physical copies. The permaweb offers approximately 150 automated backups as standard, and this number is intended to increase steadily over time, many years, decades, and generations into the future. Simply put, this means you don’t have to worry about maintaining your own backups! The permaweb will automatically fuel the creation of an increasing number of replications of your backups, with no extra cost to you at all. If you want to try out some perma-archiving for yourself and see how it can help your research, you can do so for free by following the steps in our very beginner-friendly guide right here. So, in summary, the permaweb is a very powerful tool for any researcher. By providing truly permanent links and snapshots of vital web citations to backup your work forever, the permaweb allows future generations to learn from your important work.